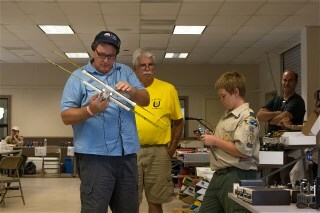 The Lakeside Amateur Radio Club cordially invites you to attend our San Diego Hamfest. 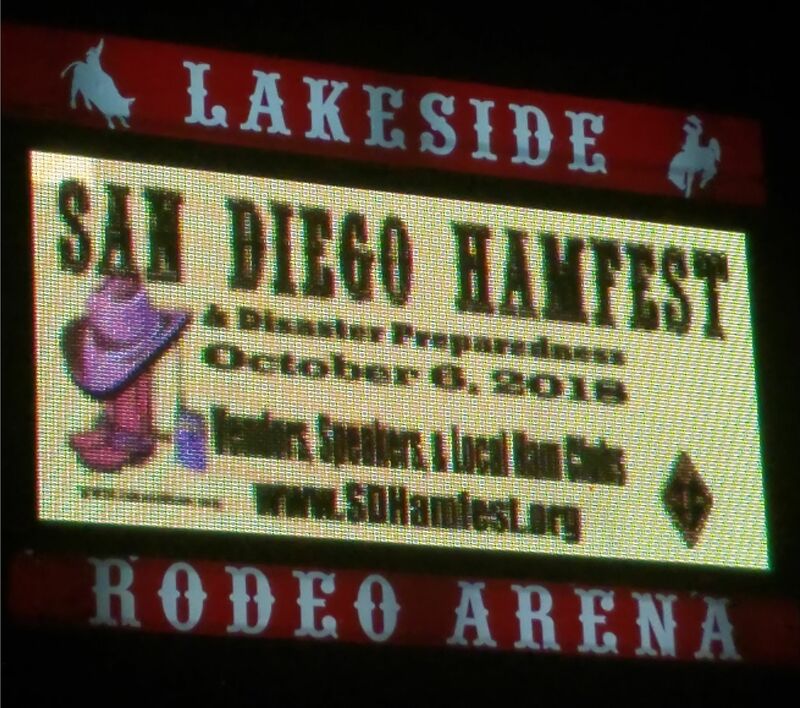 The Hamfest will be held on October 5th, at the Lakeside Rodeo Grounds located at 12584 Mapleview Street in the town of Lakeside, CA. Gates open at 7AM and close at 3PM. Radio Gear Trade Show starts at 6AM. Yes, free parking and antenna friendly! Admission is only $5.00 per person! Radio Gear Trade Show sellers space is only $5.00! We have Vendors! Need that hard to fine feed line part, power cable connector, or radio? We have it! 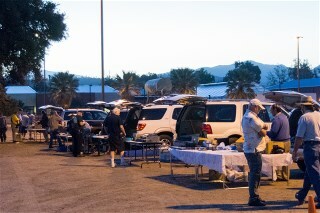 San Diego Amateur Radio Clubs from all parts of the county will have a table set-up, so you can visit them, and acquire more information about them. 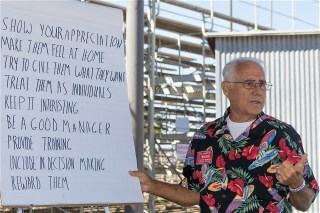 Sit down and hear one of our many Speakers talking about interesting topics about Ham Radio! Oh yes, there will be Door Prizes too! Want to upgrade or know someone who is ready to get their Ham Ticket? Well, we will have VE’s standing by to administer the test! So pencil in the date October 5, 2019 Hamfest at the Lakeside Rodeo Grounds! So come on out and let’s Ham it Up! 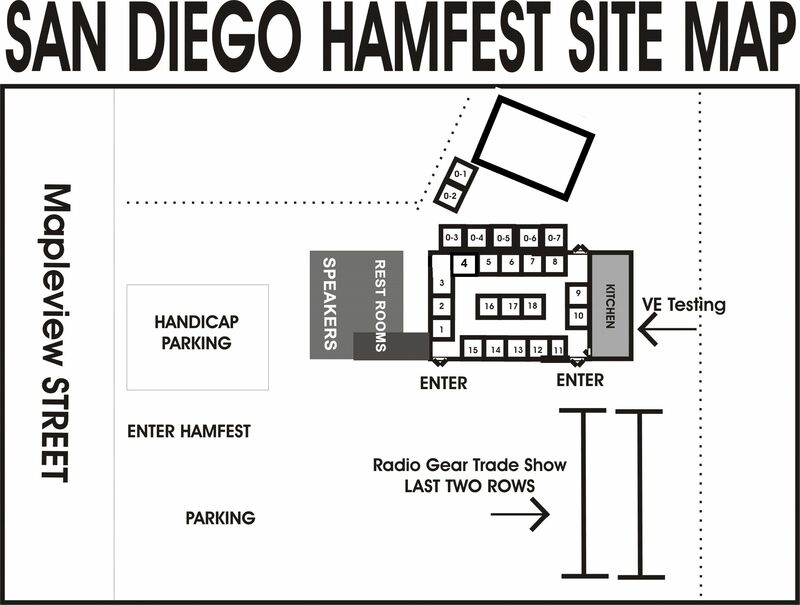 Special Event Call for the San Diego Hamfest 2019"TBA"
There are lunch tables in the shade. So Bring your lunch! Help us get the word out!!!! Print a Flyer and take it to your club!!!!! Like to be a vendor? Booth for your club?